Clarksville, TN – On Wednesday at Chery Holt Field, Austin Peay State University’s softball team hit five home runs to power its way past Samford University, 5-2 and 10-7, in its final pre-Ohio Valley Conference contests. 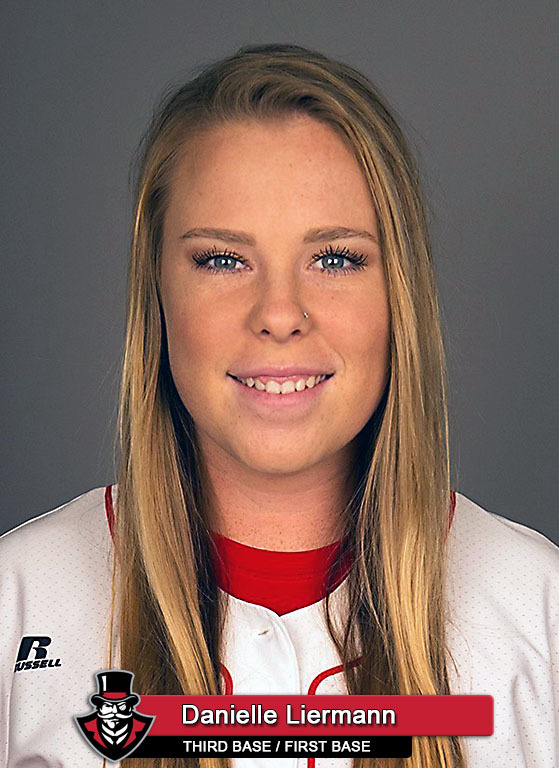 The Govs rally started in the sixth inning by loading the bases, with one out, on two walks and a hit batter, with pinch hitter Brett Jackson bring in the first run of the inning to make it 7-5, when she too was hit by a pitch. Kacy Acree followed by tying the game, 7-7, with a two-run single up the middle. That brought up Vedder would take the first pitch for a strike, but then hammered the second pitch she saw over the left field fence to put the Govs back in front for good, 10-7. Vedder would finish Game 2 going 3-for-4 at the plate, with two runs scored and three RBIs. Kelsey Gross (7-4) would take it from there in the seventh inning, as the reliever sat the Bulldogs down in order to seal the victory and the doubleheader sweep. 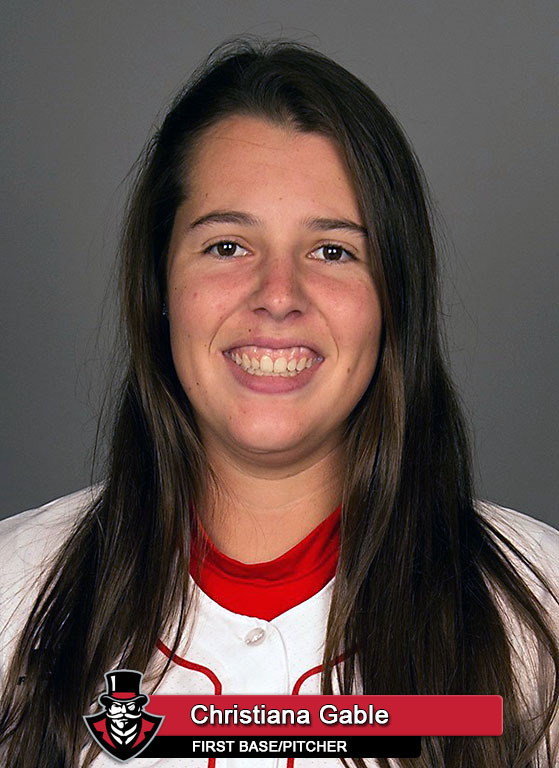 Austin Peay had jumped out to a 3-0 lead in the top of the first inning – on a three-run homer by Christiana Gable – before Samford made it a one-run game – with two runs of its own in the top of the third. The Govs would extend its lead out to a two-run margin, 4-2, in the bottom of the fourth inning on an infield ground out by Rikki Arkansas, where it would stay until Samford’s five-run sixth-inning to take the lead. 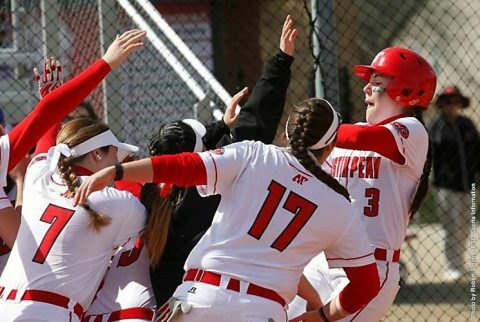 In Game 1, Austin Peay’s first two runs of the game came via the long ball, with Danielle Liermann blasting a change-up out to left field for a home run in the first inning, while Carly Mattson led off the second inning with a home run. The Govs would make it 3-0 latter in the second inning on an RBI single to right field by Erica Inagaki. Samford would cut the APSU lead to 3-2 in the top of the third inning, but the Bulldogs would get no closer, with Austin Peay making in 4-2 in the top of the fourth inning on Mattson’s second home run of the game and 5-2 on an RBI double by Liermann in the fifth. The two-home run game was the second of the year for Mattson, the first time in the program’s history that a player recorded two, two-homer games in the same season. Gross would pitch the complete-game victory, scattering eight hits, while striking out nine. The Govs will return to action this weekend, as they host Morehead State and Eastern Kentucky for a pair of doubleheader to open OVC play.